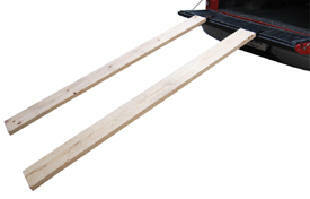 Kits allow for building wooden ramps using common lumber. Each kit includes two steel end plates and rubber bottom tips. Installation hardware is included. Drilling required for installation. Lumber/boards are not included. ERRK-8 Wooden Ramp Kit 8" x 2"
EREK-12 Wooden Ramp Kit 12" x 2"